In a five-star lodge service delays are not acceptable. So normally the game drives start just in time! But the rules change when the Thanda Elephants get involved. 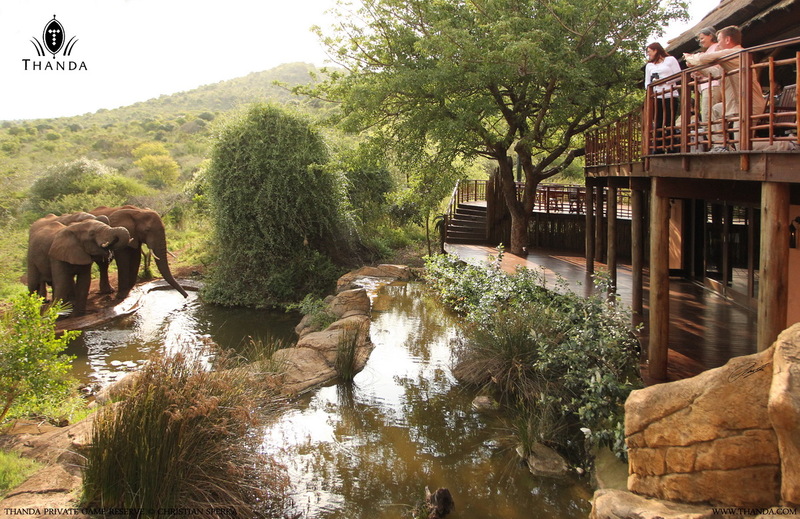 Today a few of Thanda Elephant bulls were making their way to the Lodge when guests spotted them from the Lodge deck just before game drive. Everyone waited patiently for the giant creatures to arrive. And only after they finished their drink at the water feature in front of the Lodge did the guests depart for the evening drive.